Let me share my knowledge of proper attire for any work environment. 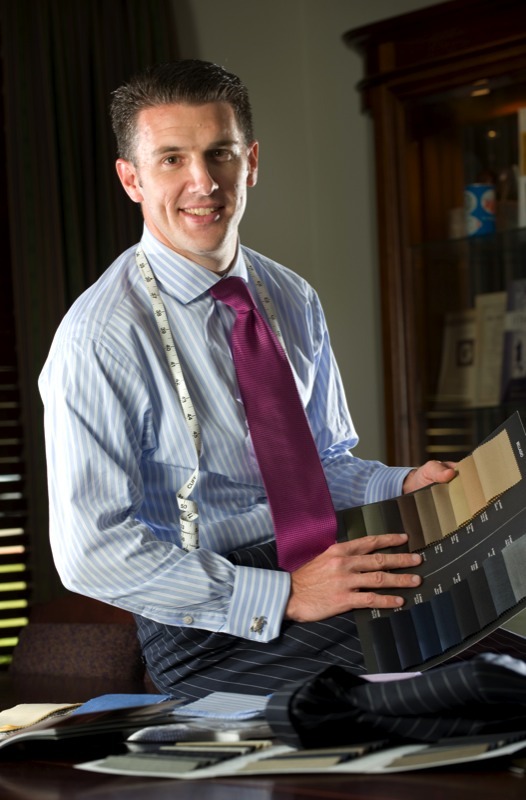 I can help you keep your wardrobe's professional edge, whether your day calls for a suit and tie, or slacks and a sportshirt. I offer an unparalleled selection in the latest styles, in addition to the classics. Whether you are a perfect fit off the rack, or your body style calls for custom clothing, Distinguished Image has you covered. With choices of more than 500 suit fabrics and 750 shirt fabrics, you are guaranteed to find exactly what you're looking for. I carry enough accessories for your wardrobe that you will never have to set foot inside a retail store again.